Photo: A line of liquid lava flows down the side of a volcano. 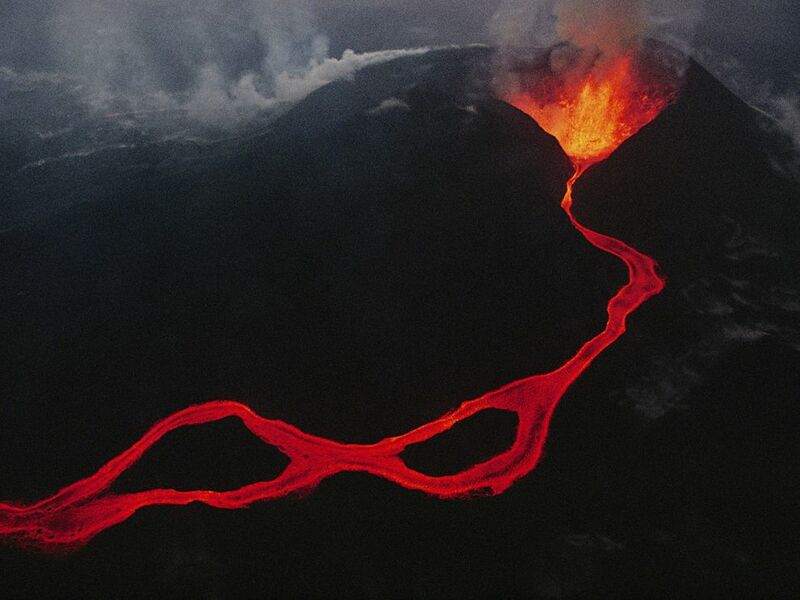 A stream of liquid lava flows from the lava lake at Mount Nyiragongo, Democratic Republic of Congo. A lava lake forms as magma from deep in the Earth wells up and collects in a crater or vent. A volcano is a feature in Earth's crust where molten rock is squeezed out onto the Earth's surface. Along with molten rock, volcanoes also release gases, ash, and solid rock. A stream is any body of flowing fluid. The most familiar type of stream is made of water, although streams can also be made of air, lava, electricity, or any other fluid.